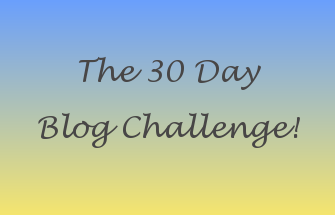 Hello and welcome to day 29 of the 30 day blog challenge and today I am bringing you five pieces of music that have a great meaning to me. This was the song that my husband and I had as our first dance at our wedding reception last year. 2. Don't Dream Its Over- Crowded House. As a student I loved Pulp and whenever I hear this song I instantly transported back to my student days! This song was a hit when I was about 17 on holiday with my parents so it always reminds me of that fantastic holiday and my one and only trip to America. I love this song, but to really appreciate it you have to hear it live and then swing your arms in time with the crowd as you get totally caught up in it! So there you have it my top five songs hope you enjoy them as much as I do.